When opening a cupboard last week a broken piece of something fell on the counter – that was unrecognizable. A small piece of plastic about 1/4 the size of a dime. I had no idea where it came from and no idea what it did – until I could no longer keep my cupboard door closed. The cupboard door kept swinging open and would not close. After much investigation, I realized it was a piece of a 20 year old cupboard door hinge. After my futile attempts to hot glue, loctite and tape it back in place I realized I had to up my game on fixing this. Gratefully there were codes embossed on the hinges and I was able to find the same type part on line to order a replacement part. By this time I had already taken the door off the cupboard and removed the hinge inserts from the door…so I ordered two replacements to make sure to fix both hinges. It was going to take 10 days before the parts would arrive. For 8 of those 10 days I attempted to close a cupboard door that was not there. It was just a conditioned response built in my brain. I was reaching for a door to close to put the display of contents in the cupboard out of site. I didn’t think about closing the cupboard, I just naturally reached to close the cupboard. The first day I must have made this motion to close the cupboard at least 20 times….every time I was in the kitchen and the contents of the cupboard caught my eye, I attempted to close a door that was not there. Each day my natural response to close the open cupboard got less and less. By the time the hinge arrived, I had stopped naturally reaching to close the cupboard – but it took at least 8 days for this natural response to subside. There are so many things we do naturally every day that we don’t even think about doing. This cupboard example gave me great insight into how “conditioned” I am to respond, naturally, without thinking. It took a broken hinge to show me that my conditioned response is not always appropriate – and just how long it takes to “unlearn” a conditioned response. The “NO Thanks” gift in this situation was disguised a bit…and took some time to unwrap. The gift I realized was not beating myself up for a conditioned response. A conditioned response becomes natural and learned over time. It might take something breaking (like the hinge) – to create a change or a new habit…and to “unlearn” all that has been learned so far. Giving myself grace each time I reached to close the cupboard door that was not there – was a great lesson. Giving myself grace to “unlearn” a conditioned response takes time….8 full days for a silly cupboard. How long does it take to unlearn years of conditioned responses to things that really matter? A long time. 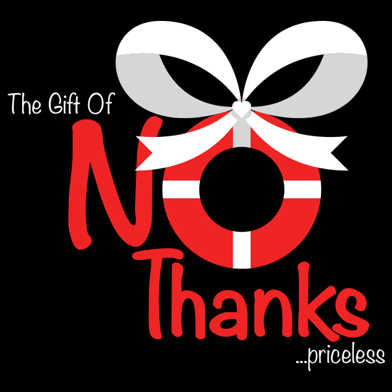 The gift of the broken hinge….and saying “NO Thanks” to beating myself up for a conditioned response that has been years in the making…priceless.